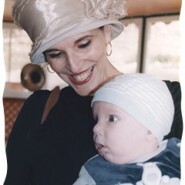 “At this time of year, we commemorate the yahrzeit of our dear son, Yosef Chai, a”h. I used to think often, ‘Who on earth knows how much we did for this child?‘ The only testimony left is his tiny gravestone, which reads, ‘Yosef Chai ben Yemima, who was purified by suffering.” I too was purified by that suffering. For months, I didn’t close my eyes. Nursing a child who barely gets oxygen, checking his breathing every second—who will remember all that devotion, I wondered? I wanted a medal for that! “Those were my thoughts, until I came across a stunning explanation that brought me great peace. “Dear Jewish women, not one of your struggles is in vain. Rabbanit Mizrachi is one of a kind. Such a kind, strong, and inspirational woman. Rabbanit Mizrachi taught me so much through her writings! Thank you for posting this…do you have the link to the article or the issue date? this appears in the june 10th issue of ami magazine. Rabbanit Yemima has a weekly column in Ami Living, which I highly recommend!! Such an inspiring post. May we all have good news and only simchos to share.